It's back! For 4 days! 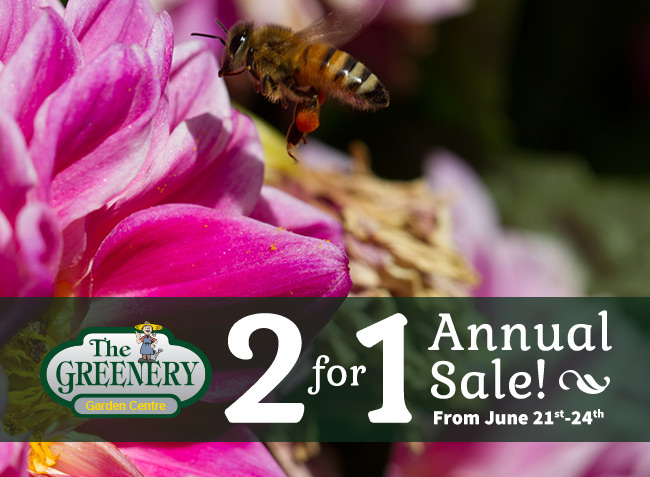 The Greenery's annual 2 FOR 1 sale starts on Thursday, June 21st and continues until we close our doors for the season on Sunday, June 24th. This year's sale includes all remaining annual, vegetable, herb, water, and perennialplants.